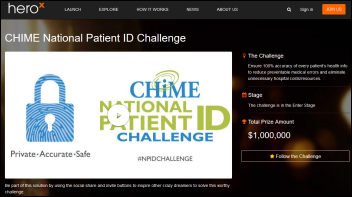 A $1 million CHIME prize attempts to position the industry for patient identification success. A perfect storm of healthcare concerns around near-ubiquitous EHR adoption, a resultant need for interoperability, patient safety and privacy, and federal stonewalling have swirled into an industry-wide conversation around the need for a national patient identifier. Such an ID would, in theory, offer all providers a safe, accurate, and private way to identify patients no matter where they receive care. Correctly matching the right patient record to the right patient across care locations has the potential to save the US healthcare system money and lives. Intermountain Healthcare CIO Marc Probst estimates that his Salt Lake City-based organization spends as much as $5 million each year on administrative and technology costs related to accurately matching patients with all of their medical records. Minnesota-based Mayo Clinic has faced similar financial fallout, paying out up to $1,200 per misidentification, according to a 2014 ONC report. Probst puts Intermountain’s patient-matching accuracy at 95 percent, above the industry norm of 85 percent. Similar rates show up at Kaiser Permanente, though that number falls to the mid-50s when records are shared between its regions and outside of its Epic system. Some estimates put identity errors in medical records at 14 percent, accruing to an annual estimated spend of almost $9 billion. But wait, there’s more. A 2012 CHIME survey found that nearly 20 percent of its members could attribute at least one adverse medical event to incorrect patient matching. That’s where the rubber hits the road. Adverse medical events equate to administering the wrong medication to the wrong patient, performing unnecessary procedures on misidentified patients, and burdening incorrectly identified patients with the hospital bills of someone else. Access to another patient’s health data is also of concern, as the steady stream of healthcare hacks over the last few years shows no signs of slowing down. While the 2012 CHIME data might be dated, the statistic strongly shouts that the healthcare industry has a moral obligation to roll out an accurate national patient ID. While such an ID has never been developed, it’s not for lack of trying. There was talk of a federal patient identifier initiative when Congress passed HIPAA in 1996, but that was ultimately shot down by the industry’s privacy contingent, resulting in a 1999 law prohibiting federal funding to create the identifier. What’s an industry in dire need of a solution to do? While there’s talk of removing the federal prohibition within the next year or two, industry stakeholders have taken the matter into their own hands and turned to the private sector for a solution – one fueled by cold, hard cash. Easily and quickly identifies patients. Achieves 100 percent accuracy in patient identification. Achieves adoption by the vast majority of patients, providers, insurers, and other stakeholders. Scales to handle all patients in the US. ONC, National Patient Safety Foundation, AHIMA, and the AMA have endorsed the contest, which will award the winning solution $1 million. Over 80 entrants in seven countries have already signed up. With submissions due April 8, the clock is ticking for entrepreneurs and established companies to finalize their ID innovations. The winner will be announced February 19, 2017 at the CHIME/HIMSS CIO Forum in Orlando. With so many entrants — from credit bureaus to startups to clinicians to big business — committing to the contest in just over a week, competition will surely be stiff once submissions are reviewed and the chosen few move on to the “Concept Blitz” round in May. I.T. 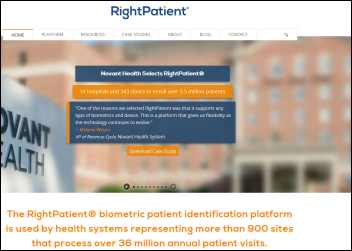 leaders in the Provider side of health care look forward to having that National Patient ID. 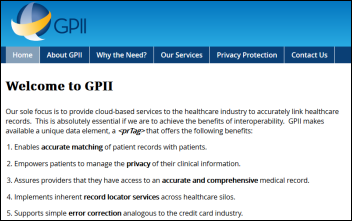 We are already developing patient-centric solutions that will enable consumer driven control of personal health data and decisions… consumer/patients in collaboration with Providers, without the interference of Payers… just as it should be! The security argument is a red-herring… after all, most of us have a single id for our bank accounts, don’t we?